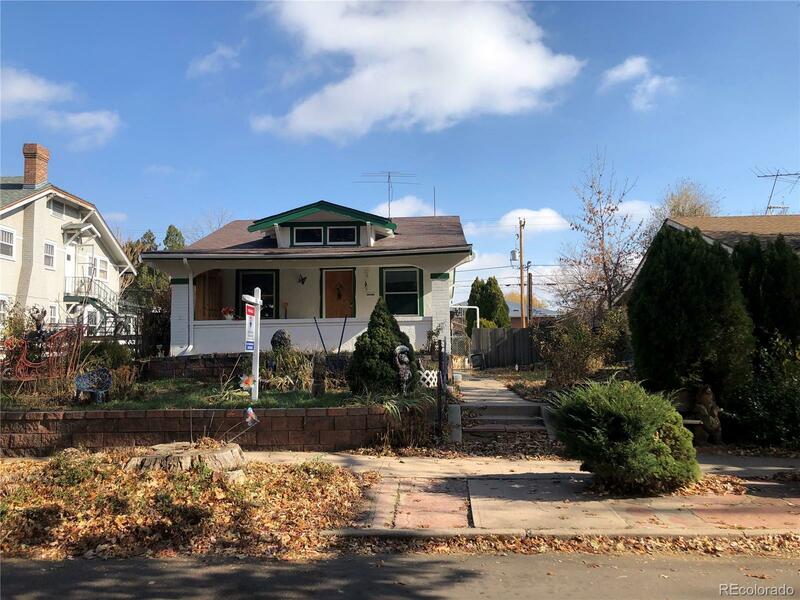 Great investment opportunity nestled in the Berkeley neighborhood of Denver. Walking distance to the restaurants and shops of Tennyson Street. Scrape and build or fix and flip! Large 6,976 square foot lot with U-SU-C1 zoning allowing urban houses and detached accessory dwelling units. A 789 square foot house with 1 bedroom, 1 full bath, hardwood floors under carpet, new windows and plumbing. Large 2 car detached garage. This house is being sold in as-in condition, seller will not do repairs or replace any systems. All appliances included. Close to transportation, restaurants, shopping, and all things North Denver has to offer. You donât want to miss this one.